High in the Andean foothills of central Chile, engineers and scientists are assembling the latest tool in the struggle to identify near-Earth objects (NEOs) that pose a threat to Earthlings in their path. Once fully operational in 2022, the Large Synoptic Survey Telescope (LSST) will begin a 10-year mission: use the world's largest digital camera to map their entire night sky and help find 90 percent of all NEOs bigger than 140 meters across. In an article on the telescope for The Conversation published June 28, Michael B Lund of Vanderbilt University's Department of Physics & Astronomy noted that the mission to find and catalog NEOs is literally written into the contract of the National Aeronautics and Space Administration (NASA), via the The NASA Authorization Act of 2005. LSST is going to be just one part of that mission, partnering with other astronomical surveys like Pan-STARRS in Hawaii and the Catalina Sky Survey in Arizona. 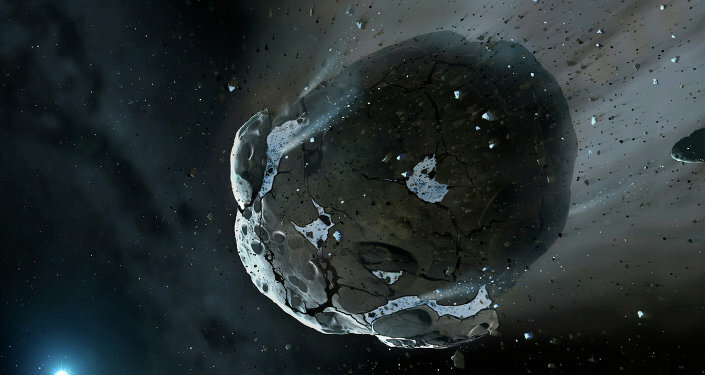 However, LSST is expected to bear the lion's share of the burden, with scientists projecting it can detect around 65 percent of potentially hazardous asteroids by itself. That's possible because, as the telescope's website notes, LSST will employ the largest digital camera ever built: about 1.65m by 3m, it's roughly the size of a small car and weighs 2,800 kgs. The camera contains over three billion pixels of solid state detectors. The word "synoptic" comes from two Greek words for "together" and "view," meaning that it describes observations that give a broad view of a subject at a particular time. The telescope itself is 8.4m long and uses an unusual three-mirror design, giving it an exceptionally wide view, enabling it to see the entire sky in only three nights. As you can imagine, all that digital information takes up a lot of computer space. LSST will have to process more than 30 terabytes of photos each night, producing the largest non-proprietary data set in the world. Overall, the mission is expected to produce 200 petabytes of images and data. A petabyte is 1024 terabytes, or about a million gigabytes of data. Located atop Cerro Pachon in central Chile, the telescope will scarcely be bothered by uncooperative weather. The region is extremely dry and the ridge is high enough to be clear of haze, giving telescopes placed there a dependably clear view of the night sky. That's why two other telescopes are located on the same hilltop: the Gemini South and Southern Astrophysical Research Telescopes. Construction started in late 2014 and is expected to be completed by the end of 2022, with a full systems test in early 2021. Construction of the base facility is expected to be completed by the end of the year. ​​Sputnik previously reported that the US National Science and Technology Council introduced a "National Near-Earth Object Preparedness Strategy and Action Plan" to come up with options for how to deal with asteroids once found. NASA's planetary defense officer, Lindley Johnson, told AP that any attempt to deter detected oncoming NEOs successfully would require nearly a decade, between building a spacecraft, launching it, and getting it to the object in time to have an effect. Less time would be needed if an evacuation of a target area was all that was needed — or possible. LSST will be scanning the night sky for objects, but the bolide that exploded over the Russian city of Chelyabinsk in 2013, injuring thousands of people, came at Earth from the sun-side, not the night-side, which is why humans had no advance notice. Some of the proposed methods for dealing with an asteroid on track to hit Earth include pushing it away from an impact course, positioning a spacecraft nearby to nudge it away, or blasting it to smithereens with a nuclear bomb. Another option, being tested on a passing asteroid in 2022, NASA's DART experiment, will involve driving two refrigerator-sized spacecraft into an asteroid at 3.7 miles per second, Sputnik reported.